Along with all the above-mentioned activities, we can publish new images on your website/Photo sharing websites with your desired name. We will work to rank all the new images in google search results. As the new images will rank at the top position, so automatically the ranking of old images will push down. Udit possesses more than 18 years of evolving experience in software project management, software development life cycle, leadership and team development across multiple technologies. Udit provides value to clients through strategic planning & analysis leading to enhanced productivity and growth in revenue & profitability. A deep focus on industry and technology expertise has helped Cynoteck deliver multiple large scale tailored made solutions. The value based solutions are delivered to clients using today’s most demanding technologies with a broad spectrum of specialization in varied industries. Udit's has expertise in Microsoft .Net framework, Design Patterns, Code Refactoring, Test Driven Development, Agile Practices, MS Dynamics CRM, Salesforce, iOS, Android and Windows application development. Udit helps customers in various business decisions, as member of key strategic group for initiates and new panel set ups. Cynoteck renders hands-on and progressive exposure to clients for providing solutions around process augmentation and business enhancements to remain competitive while adhering to compliance. Anshul has over 15 years of IT consultation experience and has successfully delivered several projects for large organizations including Fortune 500 companies. He has handled teams globally and has impeccable cross-geography delivery experience. 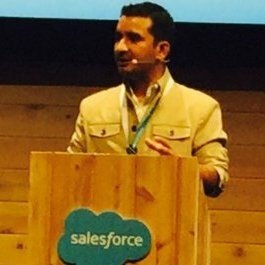 Mr. Verma was previously employed with Cognizant Technology Solutions as Senior Manager where he delivered various high- profile Salesforce Projects. He specializes in CRM consulting and rollout of CRM solutions including Sales Optimization, Customer Service, Business Process Transformation/ Re-Engineering, CTI integration, Enterprise Application Integration, and executing projects using Scrum based Agile methodology. He is a thought-leader in CRM space and has expertise in unlocking real value and ROI from CRM investments.